Ophthalmic Scribes — McKnight Eye Centers, P.C. Brittany is a Certified Ophthalmic Scribe and has been with our office for 5 years. She began her career at McKnight Eye Centers as a Technician and has now transitioned into assisting Dr. Scott McKnight during each exam. Brittany is Dr. McKnight’s right hand woman. Making sure all information is recorded accurately and efficiently. In her free time Brittany enjoys spending time with her Husband, daughter and their dog Finnegan. She can be found at arrowhead stadium during football season cheering on the Chiefs. Brittany resides in Independence, MO. Jessica is a newer employee here, but has been a COA for 8 years now, and is quickly becoming one of our favorite people here at McKnight Eye Centers. Jessica has the uncanny knack of finding humor and positivity on the toughest days. Our patients love her as much as we do! When she’s not keeping everyone’s spirits up here, she is hanging out with her 4, very busy boys, or living up the “auntie life”. DeeAdra is an Ophthalmic Scribe and newly certified COA at McKnight eye centers. She has been in the industry for 6 years 3 of which have been spent working at McKnight Eye centers. When Dr. Brett McKnight joined our practice in 2017 DeeAdra stepped into the role of scribe after being an ophthalmic technician with our practice for 2 years. DeeAdra makes our office environment so much fun, she can make anyone laugh or smile whether it is her coworkers or patients here in the office she knows how to brighten anyone’s day. DeeAdra is currently working towards getting her COT. During her free time DeeAdra loves to spend time with her family that includes her three children and dog Cecelia. They keep her extremely busy with their activities and sports. She resides in Blue Springs, MO. Mallori Davis is an Ophthalmic Scribe at McKnight Eye Centers. 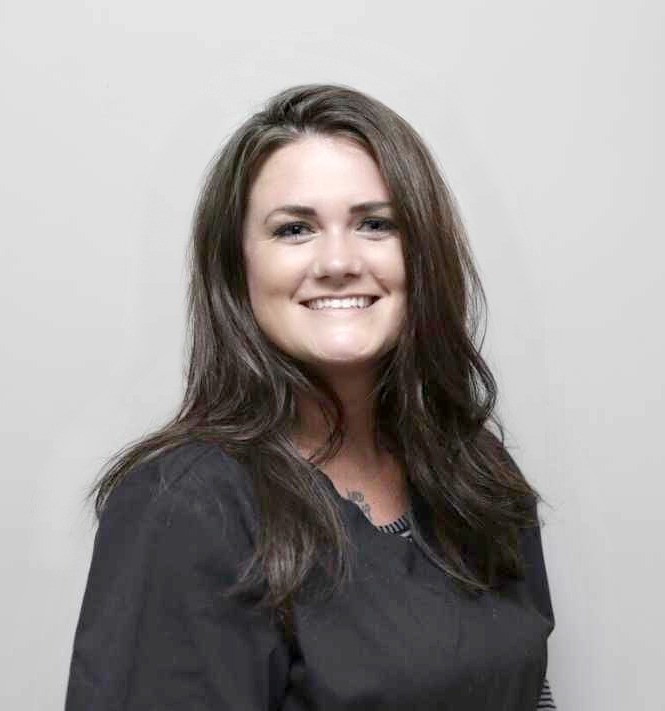 Although Mallori is a newer asset to our team here, she has been working in Ophthalmology for 6 years and is extremely passionate about her career. Mallori has an Associate Degree in Medical Management, which she obtained in 2012, while also being an amazing mother and role model to her three children. She spends all her time with her children, painting, swimming, and being with her family. Cary is a Certified Ophthalmic Scribe. She has been in the industry since 1999 and began working with our practice in 2012. Cary obtained her undergraduate degree from the University Of Kansas, her doctorate from the University of Houston College Of Optometry and is currently completing the last few steps to becoming a board certified Optometrist. Cary assists Dr. Brand in every exam, assuring that all information is captured and recorded correctly and efficiently. Cary enjoys crafting and cheering on KU with her dog Henry. She resides in Kansas City, MO.